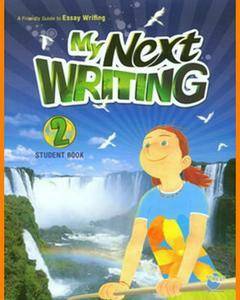 My Next Writing is the following series to My First Writing, completing the series for multi-paragraph essay writing. In book 1, students learn to write a cohesive paragraph that includes a topic sentence, body, and a closing sentence. In books 2 and 3, students expand their ideas and develop their writing into multi-paragraph essays. Paragraph and essay writing is guided through a comprehensive step-by-step approach with the use of model essays. The series covers a wide range of interesting topics so that students can practice and develop various writing skills along the way.